Home / Bamboo / bamboo wacom / Cheap / Gimp / Graphic Design / graphics tablet / huion / huion 420 / kenting / Krita / replacement / Review / tablet / Wacom / Huion 420 Graphics tablet review. How does it compare to the Wacom Bamboo? 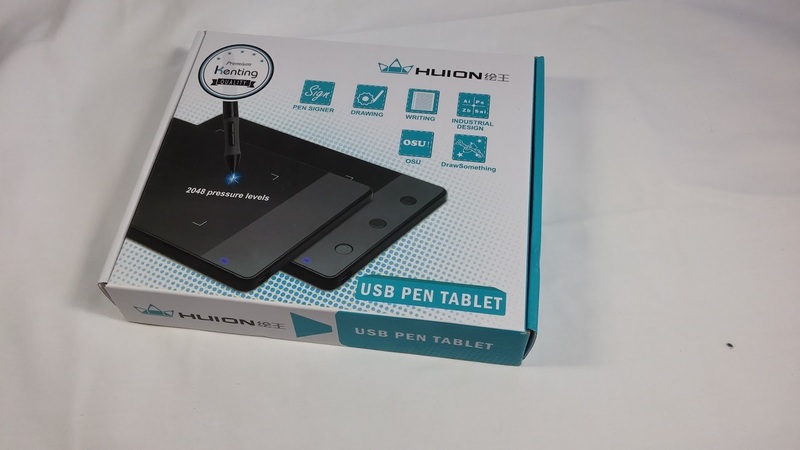 Huion 420 Graphics tablet review. How does it compare to the Wacom Bamboo? A couple years ago I bought my wife the Wacom Bamboo tablet so she can use it for graphics projects. I recently discovered Huion tablets and got the Huion 420 graphics tablet to compare. If you were to go to Amazon right now and buy both tablets, the Huion 420 would cost you $25 whereas the Wacom Bamboo tablet would cost you $70. With a $45 difference, the question is whether or not the Wacom tablet is $45 dollars better. The first thing I noticed with the Huion 420 tablet is that it is quite clearly a Chinese brand. Unlike other Chinese brands, this one does not seem to be trying to shamelessly copy the exact look of Wacom. It has its own unique look and feel. 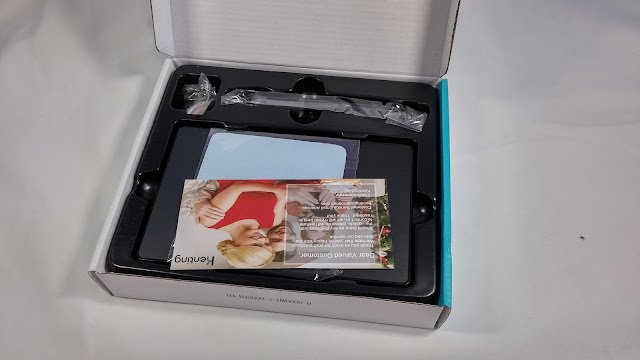 The package itself comes with the tablet, stylus, extra nibs for the stylus, and a cleaning cloth. The one thing that a Wacom Bamboo tablet has that is missing here is a carrying case. Not a big deal in my book but potentially important for some people (most probably students who would need to carry this in a backpack). The size itself is also smaller than the Wacom Bamboo tablet. The Bamboo tablet is already quite small so while this Huion tablet is not significantly smaller, it is indeed quite small. This is most noticeable on higher resolution screens. If you have a high resolution screen it is quite difficult to avoid having a shaking hand because of how small the tablet drawing space is. 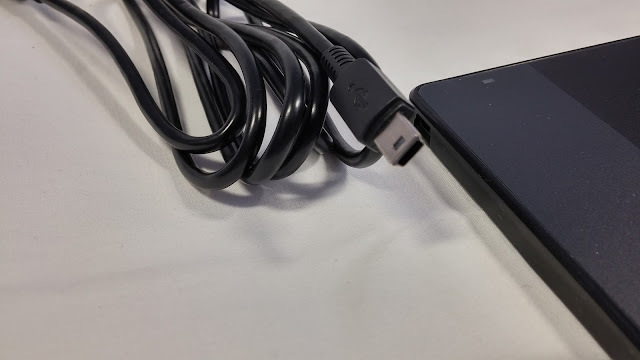 Something else about the Huion 420 is that it uses the old school USB mini-b (5-pin) connector. While functionally this works just as well, it always makes me a bit sad to see a product use old school connectors. It makes the tablet feel like it is already a bit dated. 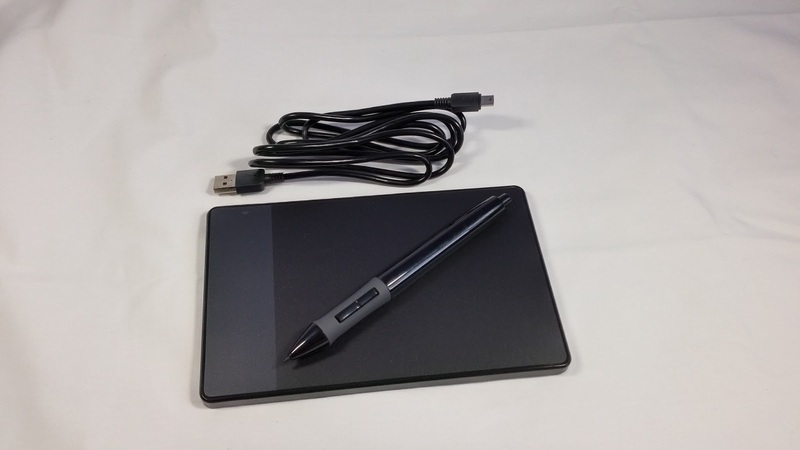 One other significant difference this has from the Bamboo Wacom tablet is that this Huion tablet requires a single AAA battery to be inserted into the stylus in order for it to work. This means that the stylus is a bit bulkier than the Bamboo tablet and is not weighted quite as naturally as other styluses. All this being said, when it come to things that really matter (like pressure sensitivity), I feel that the Huion 420 tablet does quite well (perhaps even better than the Bamboo). As you can see from the video, the tablet functions quite well. Not only that, but it was compatible with every OS I tried it on. While I still feel that the Wacom Bamboo tablet is better than this Huion 420 tablet, I only think it is marginally better. I feel that functionally, this Huion tablet works nearly as well. The main points that I feel make the Bamboo tablet better is the stylus, software support for Wacom (especially if you use Linux like me), and the slightly bigger size. I feel like the pressure sensitivity on the Huion 420 tablet is slightly better than the Bamboo tablet. Overall, I would recommend anyone who does not already have a graphics tablet to get the Huion 420 over the Bamboo. Why would I recommend this? Simply because you would be getting an idea of how to use a tablet for a much cheaper price (about $45 cheaper!). I feel that the Huion 420 tablets and the Wacom Bamboo tablets are like training wheels for a real (bigger) tablets. If it were me, I would get the cheaper training wheels. If you already know that you like using a tablet and will use one frequently, I probably would not get either of these tablets but get something larger like the Huion H610PRO Painting Drawing Pen Graphics Tablet or the Wacom Intuos Pro Pen and Touch Tablet. Note: I received the Huion 420 tablet in exchange for an honest review. All opinions on this post are my own and not influenced in any way by Huion.